Following this weeks announcement that Microsoft will acquire LinkedIn for $26.2 billion, we relook at our ten tips to improve your LinkedIn profile to help with career progression, lead generation, networking and getting noticed. LinkedIn is the world’s largest and most valuable professional network with 400+ million users worldwide in 2016. Over the past year, the company has launched a new version of its mobile app, enhanced the LinkedIn news-feed, acquired a leading online learning platform called Lynda.com to enter a new market and rolled out a new version of its recruiter product to its enterprise customers. These innovations have resulted in increased membership, engagement, insight and financial results. Whether you are job hunting, gathering leads, connecting with clients or networking in your industry, having a professional LinkedIn profile is essential to make sure that you can be found by the right people at the right time. Just like networking in person, when using LinkedIn, first impressions count. But first you MUST make a good impression which means taking the time to ensure that you have a fully complete professional profile. It is key that you think of your profile not as a resume, but also as a sales and marketing tool that you use to promote yourself and your business. If you do not have a photo, you need to get one. Profiles without photos are rarely viewed as they are thought to be inactive. Make sure you look good in your photo which does not mean wearing sunglasses or having a ‘soft focus romantic’ image of you. Your photo should be square, from 200 x 200 to 500 x 500 pixels, 4MB maximum. Make sure it is a professional looking headshot with no distracting backgrounds and don’t forget, SMILE! Remember your photo may be your first impression with a potential employer or client. The headline that appears below your name is included on every reference about you on the site and in search results. By default, LinkedIn populates your headline with your job title and current company, but you don’t have to keep it that way. You have 120 characters to attract your target market’s attention and encourage them to click through to your profile. Think of your headline as a networking introduction, not a job title, and be sure to use your keywords. After the Headline, the Summary is the single most important part of your profile. Use the Summary field to share your top 5 biggest achievements to date. Use bullet points to make this easy to read, think about your audience and then paint a picture of how you can make an impact on that person and their organisation. Do not forget to use your keywords throughout your summary and end with a call to action. James Dillon is Business Development Manager at Exponential Training and has over 5 years experience working with current and aspiring Managers, Coaches and Consultants. James works with both past and potential clients in order to help them find the right training & development solutions to meet their specific needs. 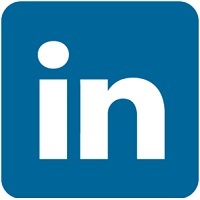 You can contact James or connect through LinkedIn. The Euros, Brexit and Vardy? Great story James – I’ve already made some changes to my LinkedIn profile -what do you think? Another useful article, very relevant to my current work on unit 5026 for my Business Support diploma. Thanks for the feedback Gordon! Glad you found it useful and all the best with your studies. Agreed. Your LinkedIn profile is the first impression you make to very important people and promote your professional image. So when you have extra time just sitting around, you can definitely apply these simple, practical tips to boost your LinkedIn profile instead. I’m sure once applied this can help your dream job find you. Thank you for sharing!